Alex Chacon has been traveling around the world for 600 days. With his GoPro attached to a monopod, he shot one of those vacation videos that make you rethink your whole existence. 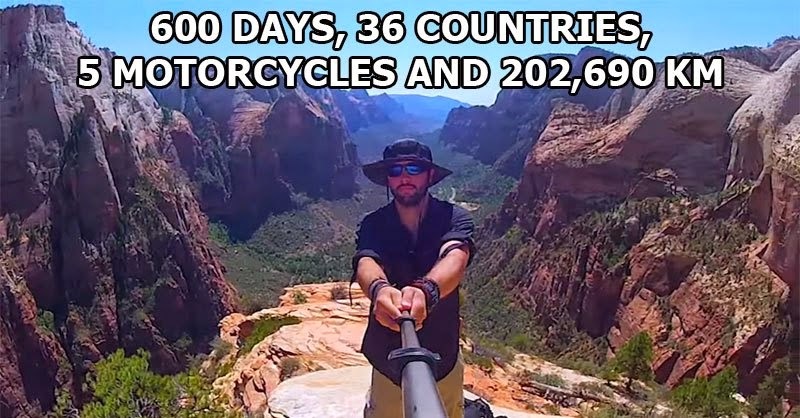 He Visited All 201 Countries In The World... WITHOUT Using A Plane.